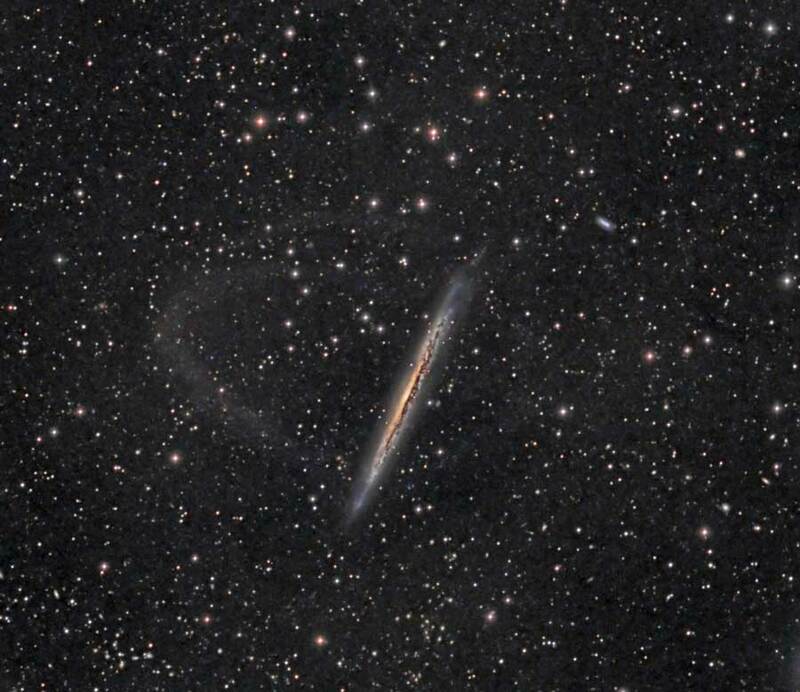 Astroimager Lynn Hilborn of the WhistleStop Observatory in Grafton, Ontario, Canada, sent me this fantastic image of the galaxy NGC 5907 in Draco, which is sometimes called the Splinter Galaxy. The faint tidal stream is visible as a ghostly, C-shaped loop to the left of the galaxy. That is an absolutely amazing shot — to capture the streamers of gas coming off the galaxy from gravitational interactions is fantastic. The galaxy lies at a distance of about 42 million light-years.